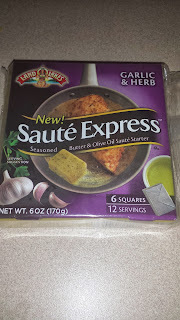 Sauté Express Sauté Starter Review. Does it Bring Good Flavor to Foods? ﻿﻿﻿﻿﻿﻿﻿﻿﻿﻿What my family had for dinner last night was chopped up chicken and rice using the new Land O' Lakes Sauté Express Sauté Starter butter that I got for free with BzzAgent! 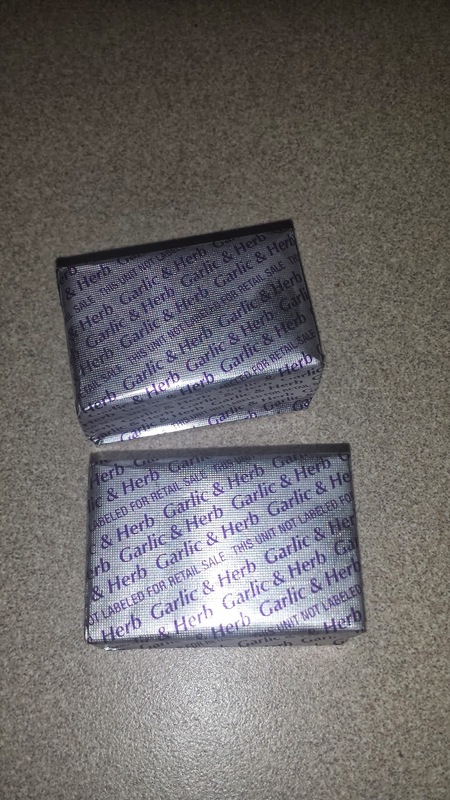 BzzAgent sent me my Bzz Campaign packet of Land O Lakes Sauté Express Sauté Starter coupons to use at my local store so I can try out the new seasoned butter. I found the new butter in the butter cooler section of Kroger. They only had the Garlic and Herb flavor in stock so I had no choice but to use that flavor. 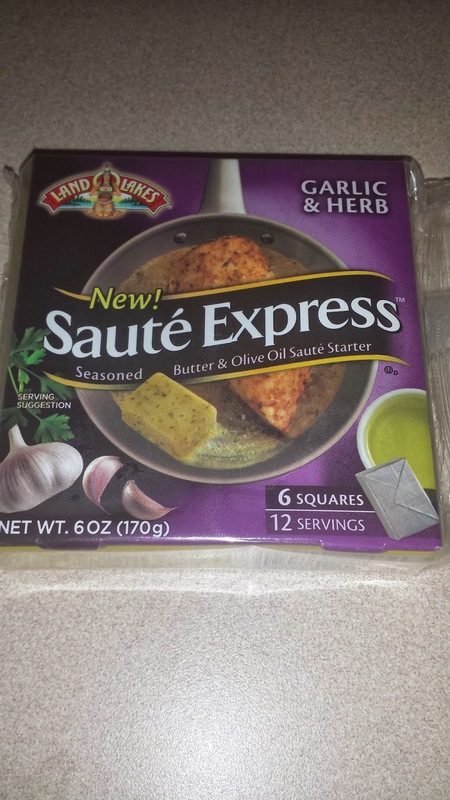 Sauté Express Sauté Starter comes in Garlic & Herb, Lemon Pepper, Savory Butter & Olive Oil, Italian Herb, and Teriyaki flavors. 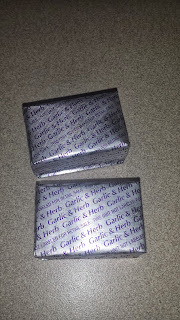 I like to cook for my family but I wouldn't say I'm a experienced cook so this butter will come in handy since all I need is the meat, vegetables, or pasta and just add Sauté Express Sauté Starter butter to it and I have a nicely seasoned and delicious meal. 1. I cut up 8 pieces of chicken tenderloins. 2. Put the chicken in a pan and add one pack of the Sauté Express Sauté Starter butter and let it melt and marinate in the chicken on medium to somewhat high heat on the stove. 3. I stirred the chicken until it wasn't pink anymore. This took about 5 to 10 minutes. I did add some oregano seasoning to give it a bit more flavor. 4. On the side, I cooked white rice. And WALA! My quick meal was done! 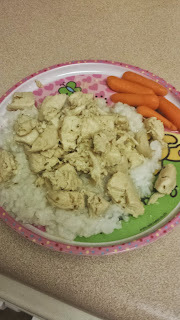 The meal took me about 20 minutes to cook including cutting up the chicken. Not bad at all! That butter gave my chicken so much flavor and the chicken just melted in my mouth! When my significant other came home and seen I was using the new flavored butter, he took a packet of the butter and used some of it on his cooked asparagus that he cooked to have along side his chicken and rice. He said he really enjoyed the butter flavor and would like me to buy it more often. Is Sauté Express Sauté Starter Worth a Try? I actually expected this butter to taste bland but it really does bring out great flavor to meals! With so many different flavors to choice from, it makes good meals out of different kinds of meats and vegetables. I can't wait to try out the other flavors! Also a great way to create time saving meals and also save money too because you don't need to buy different ingredients since all the ingredients is in one cube.